Just over two weeks after their previous launch, SpaceX is again preparing their Falcon 9 rocket for launch, this time for the Telstar 19 Vantage mission to Geostationary Transfer Orbit (GTO). 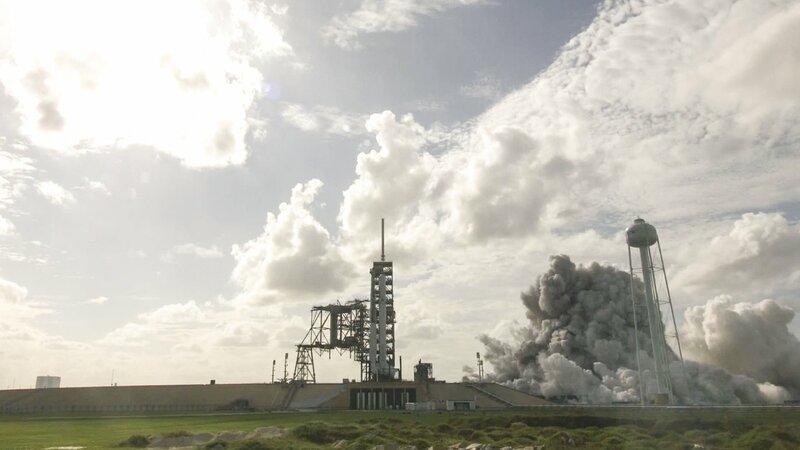 The second Block 5 Falcon 9 – which includes the unflown core 1047 – conducted a Static Fire test SLC-40 at Cape Canaveral at around 5 pm Eastern on Wednesday. The launch is currently scheduled to occur on July 22 in a four-hour window stretching from 1:50 AM to 5:50 AM Eastern. Should the current schedules hold, the launch will be the beginning of a 12-day period containing 3 Falcon 9 launches, which includes the launches of Telstar 19V, Iridium NEXT flight 7, and Telkom 4. This 12-day period will also see an unprecedented 7-day turnaround for SLC-40, from the Telstar 19V launch on July 22 to the Telkom 4 static fire on July 29. This 7-day turnaround is SLC-40’s estimated minimum turnaround time after its renovation following the Amos-6 on-pad conflagration in September 2016. The static fire test is one of the most important milestones leading up to a SpaceX launch. The static fire is a rehearsal of the launch to ensure that the rocket, launch pad systems, range, and flight controllers are ready and will perform well for the launch. Before the test, pad engineers roll the vehicle – minus the payload and its fairing – onto the pad and raise it vertical. The tanks are then filled with fuel and a short burn of the 9 first stage Merlin 1D engines occurs. After the test, SpaceX engineers and flight controllers begin reviewing the data from the test, and after a “quick look” review, announce on Twitter whether or not the test was a success. Static fire test of Falcon 9 complete—targeting early morning launch on Sunday, July 22 of Telstar 19 VANTAGE from Pad 40 in Florida. The fuel tanks are then drained, and the vehicle rolls back into the hangar for payload integration. The vehicle being prepared for the static fire is the second Block 5 Falcon 9 and includes the first stage core 1047. 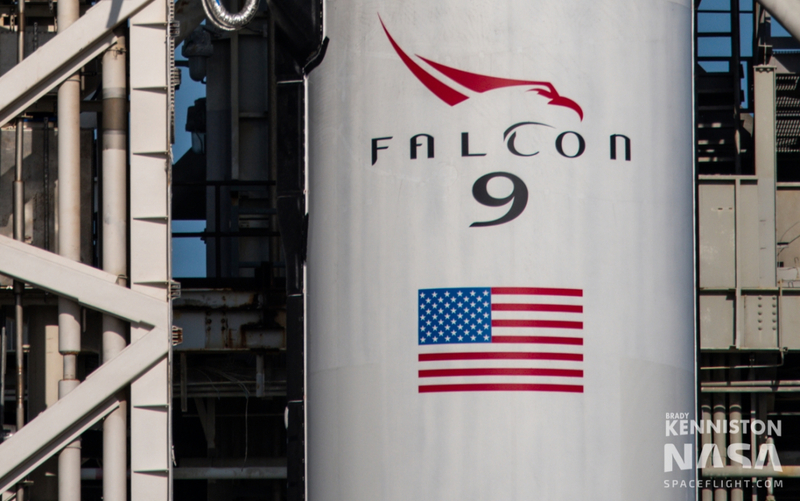 Block 5 is the final version of the Falcon 9, intended to be rapidly and inexpensively reused. The first stage is designed to be reused once every 48 hours, with only inspections between every flight. After a booster performs ten flights, it then undergoes a more in-depth refurbishment before returning to service – and may perform up to 100 flights before retirement. Block 5 debuted on May 11, 2018 for the Bangabandhu-1 mission. The launch was a complete success, with the Bangabandhu-1 satellite being deployed into a Geostationary Transfer Orbit (GTO), and the first stage landing successfully on the Autonomous Spaceport Drone Ship (ASDS) Of Course I Still Love You (OCISLY). 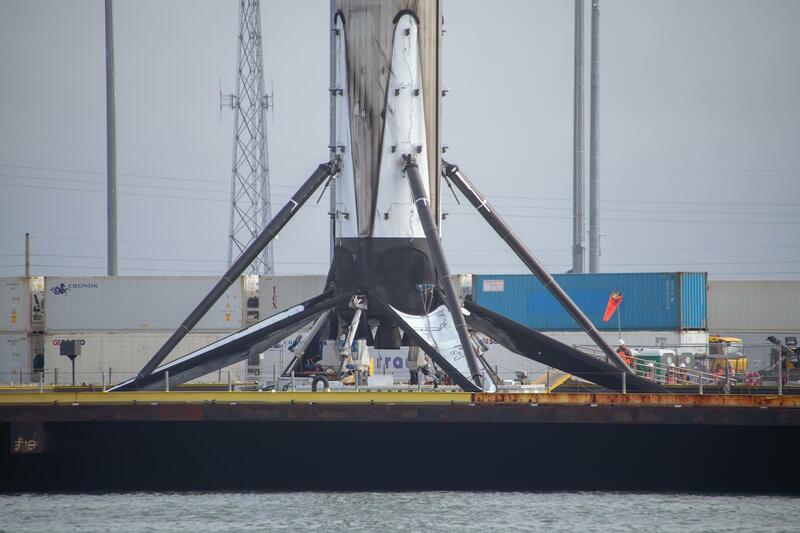 Core 1047 will also land on OCISLY during this mission as SpaceX resumes regular first stage landings. 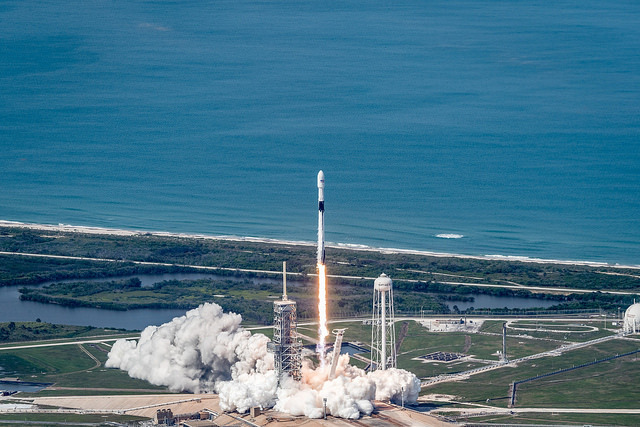 For the past seven missions reusing a Block 3 or Block 4 first stage, SpaceX opted to expend the first stages, as they could only be flown two times. 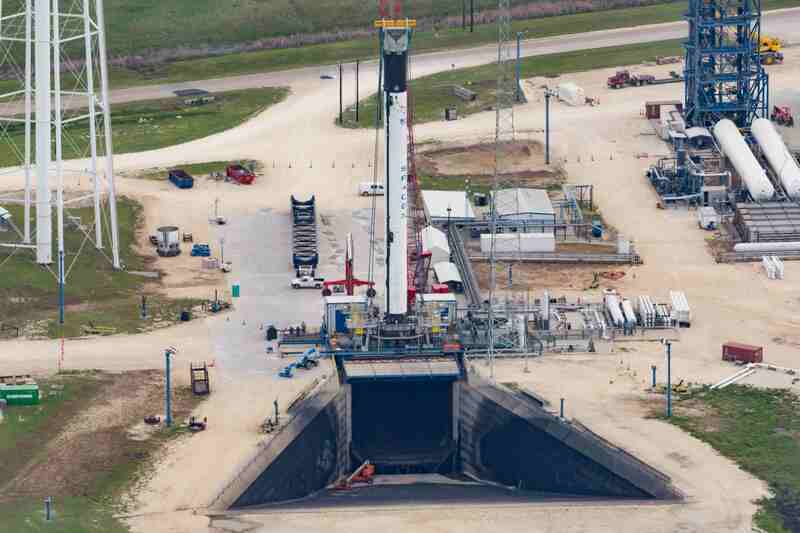 Core 1047 was first seen on the first stage test stand at SpaceX’s test facility in McGregor, Texas on April 18, 2018, while being prepared for a long-duration static fire test. After testing in McGregor was complete, 1047 was transported via road to Cape Canaveral to begin preparations for the Telstar 19 Vantage mission. These preparations included attaching the landing legs and grid fins, mating the first stage with the second, and integrating the vehicle onto the strongback. The final preparations will include mating Telstar 19 Vantage and the payload fairing onto the vehicle after the static fire is complete. Telstar 19 Vantage is be a geostationary communications satellite owned and operated by Telesat. It was built by Space Systems/Loral after being awarded the contract in November 2015. The satellite will have coverage across South America, North America and the northern Atlantic Ocean, with one Ka-band antenna and one Ku-band antenna. Telstar 19V will be co-located with Telesat’s older Telstar 14R satellite. Telstar 19 Vantage weighs approximately 7 metric tons, which will be the heaviest GTO satellite launched on a Falcon 9 – but the first stage will still be able to land on Of Course I Still Love You. After this mission, there will be around 14 Falcon 9 launches and 1 Falcon Heavy launch left this year, depending on mission delays. The next launch will be the seventh Iridium NEXT flight for Iridium Communications. It will launch from Vandenberg Air Force Base SLC-4E No Earlier Than (NET) July 25 using first stage core 1048, the third Block 5 core.